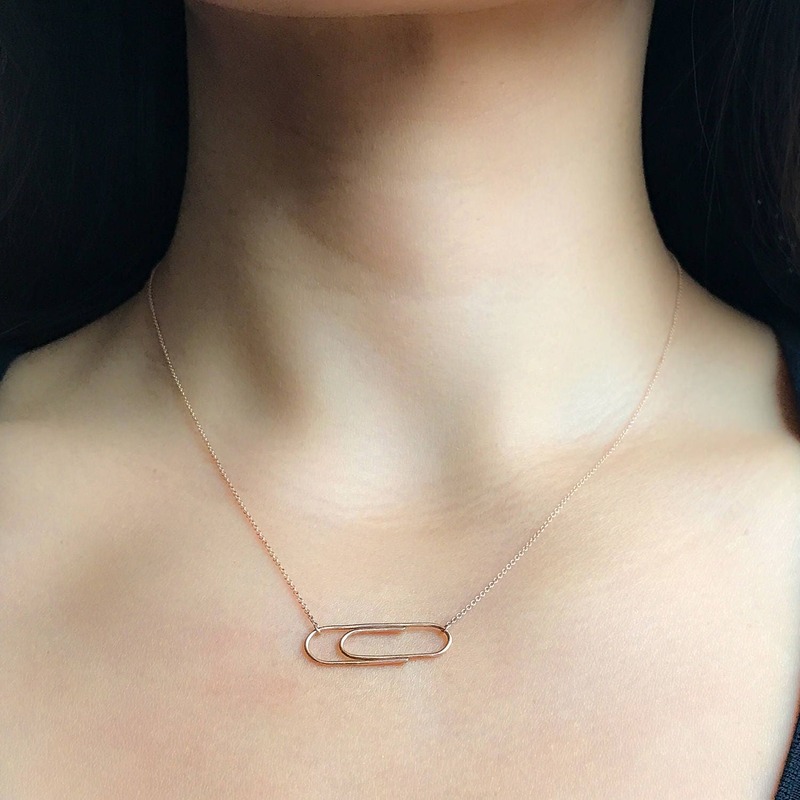 The paperclip isn't just an office staple. It represented unity and was a symbol of resistance during WWII. In the 1940's, citizens in countries under German occupation were not allowed to wear badges or pins representing national symbols so students in Norway chose to wear paperclips on their lapels and collars as a secret symbol of national pride. The humble paperclip brought people together in peaceful solidarity against Nazi Germany. 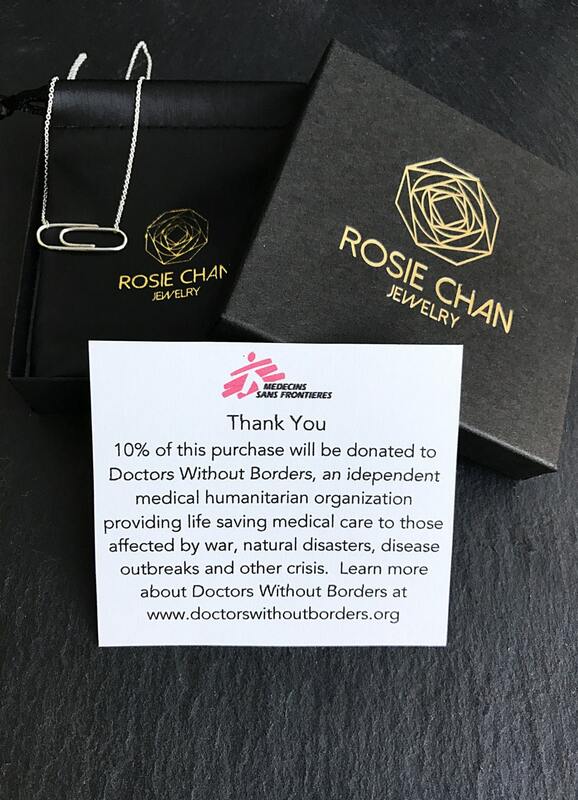 The paperclip necklace is available in sterling silver, 14 karat yellow, rose or white gold. The size of the paperclip is a standard small paperclip (1 inch wide and 1/4" high) and is available in 16 inches in length. 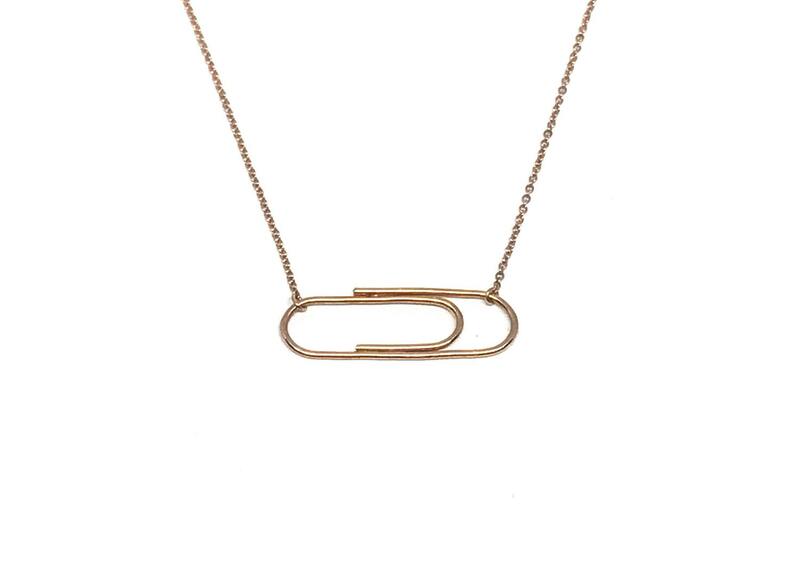 This listing is for the 14 karat golden paperclip in rose gold.